Every year in the fall we get out our trail cameras and hunting gear, fill up the feeders and start exchanging pictures with our buddies and talking about deer season. For some landowners this never stops. There is always something that needs planting, tree stands that need to be put up or taken down, mud holes that need to be filled, predators to control and much more. Furthermore, keeping property in prime condition becomes a year around task and this is what we refer to in the hunting industry as Wildlife and Property Management. 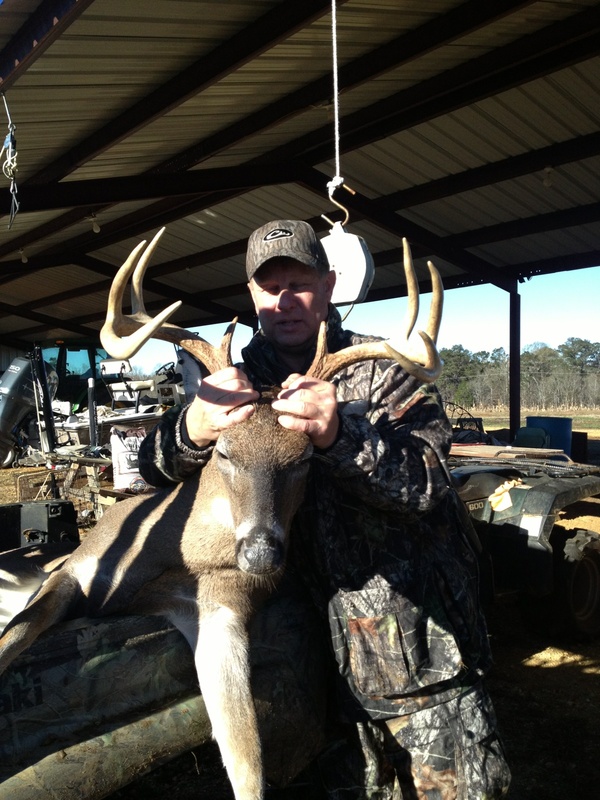 Marve Breeding, owner of Sandy Ridge Outdoors — a 1820 acre free range property in Lowndes County has had his property on a strict wildlife management plan for six years and as you can see in the photo’s his results are amazing. The Southern Land Brokers has been working with Breeding on his journey to produce a one of a kind recreational and investment property. If it is one thing we have learned from Breeding, it is that when he works, he works hard and wants to be the top worker in his field and when he plays, he plays the hardest. When it comes to managing his property, he follows closely to this same philosophy, and wants only the best for his wildlife as he strives to take wildlife management to an all new level. In February of every year deer season comes to a close, the woods seem empty, and frost has beaten down the food plots and browse in the woods and there is not much left for animals to eat during this time. The rut is coming to an end and bucks are skinny and hungry. This is when our management plan kicks off a new season. Our feeders are filled with corn on a regular schedule, which tends to help with the weight and keep the deer in a healthier condition. The last week in February and the first week of March is when the predator control program starts. The Coyotes have finished mating and returned to their primary homes. 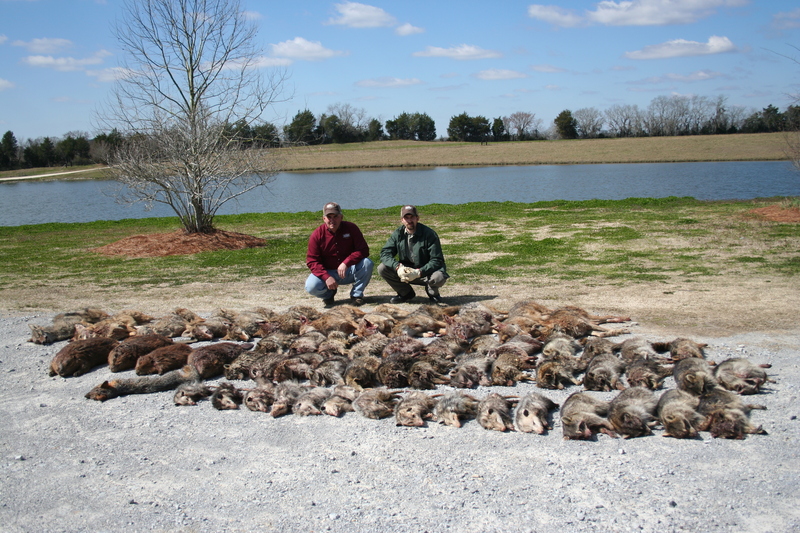 The Southern Land Brokers has partnered with Clint Cary of Tactical Trapping Services to handle the predator control on all of the properties we manage. Clint will move in and trap primarily coyotes, but he will also work on the raccoons, beavers or really any predator that needs controlling. By trapping during these months Clint feels like we are taking the coyotes that live there and the ones that cause the most harm on our wildlife. I think from the results of surveys I have completed, coyotes are causing more damage to the deer herds in Alabama than we realize. Hunters have been reporting less sightings of fawns and less overall deer populations throughout the state in the last five years. Alabama’s Fish and Game Department has implemented new laws to help gain data that will enable them to make better decisions to help protect our natural resources. 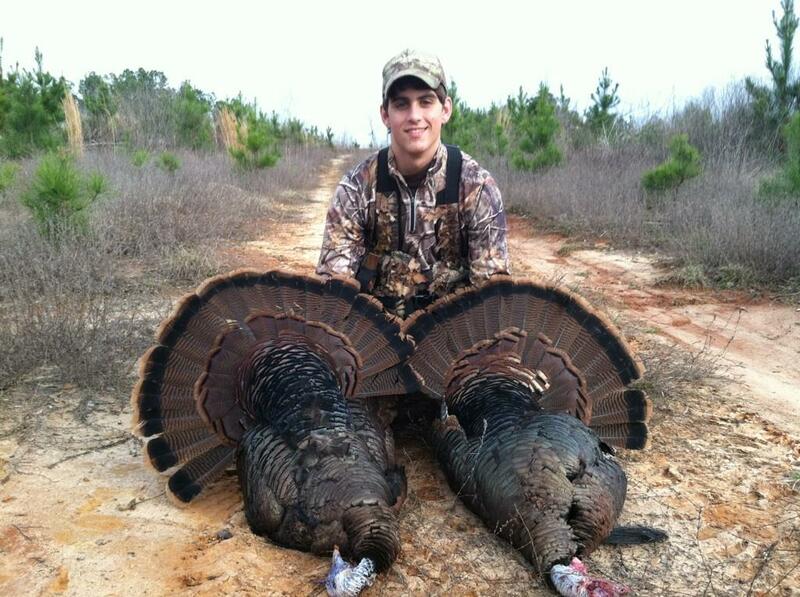 In March and April well, we just cannot help it, turkey season comes in and the fun begins. It usually takes about three weeks and we have killed the dumb turkeys and gotten whipped by the smart ones. By now, the hens are laying eggs and going on their nest and the days are beginning to get hot. The new foliage in the woods help the deer regain their weight and get back to a normal routine. 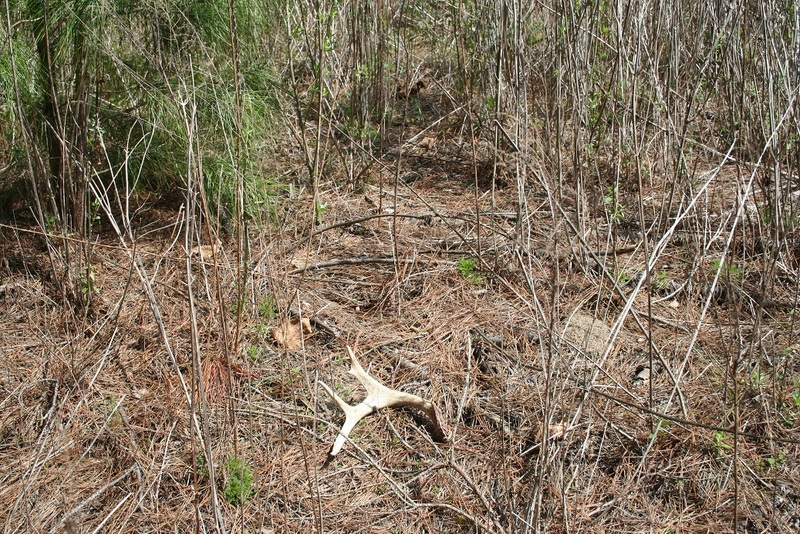 This is also a great time to shed hunt around your wildlife food plots, feeding stations, and the trails that lead to and from them. May and June is the time when we like to start our planting of corn and soybeans. We like the Eagle brand Roundup ready soybeans because of their fast growing nature and the amount of foliage they produce. When the deer browse on the new stalk it tends to recover faster and continue to grow better than other varieties we have used. Under perfect conditions they will grow up to one inch in twenty-four hours. I like to place baskets over a small portion of the field to help keep track of what the deer are consuming. We will start spraying these fields with roundup as soon as we see undesirable competition growing up throughout the planted fields and we continue to spray as needed throughout the summer. From May through August we will convert our supplemental feeding program from corn over to a high protein deer pellet. This helps with antler growth and helps free up the browse in the woods. August and September are great months to consider cutting any timber in low lying wet areas you may have. 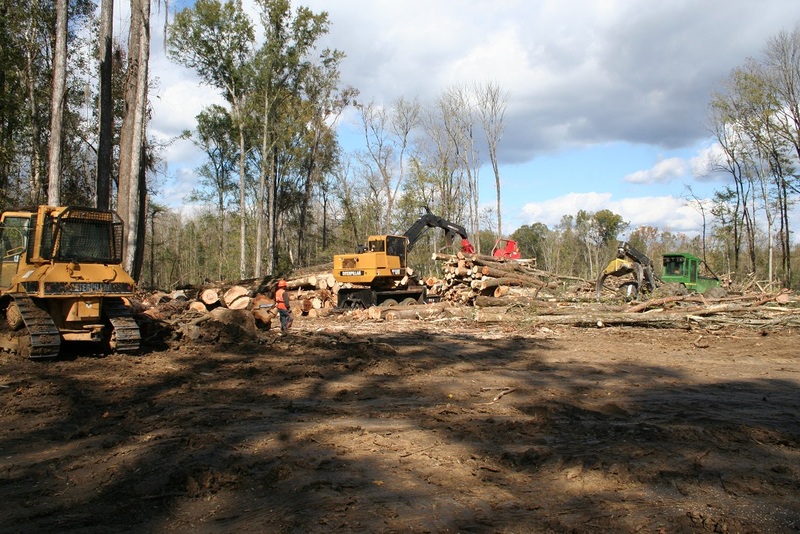 We personally prefer mini clear cuts of twenty to forty acres and larger depending on your size property. 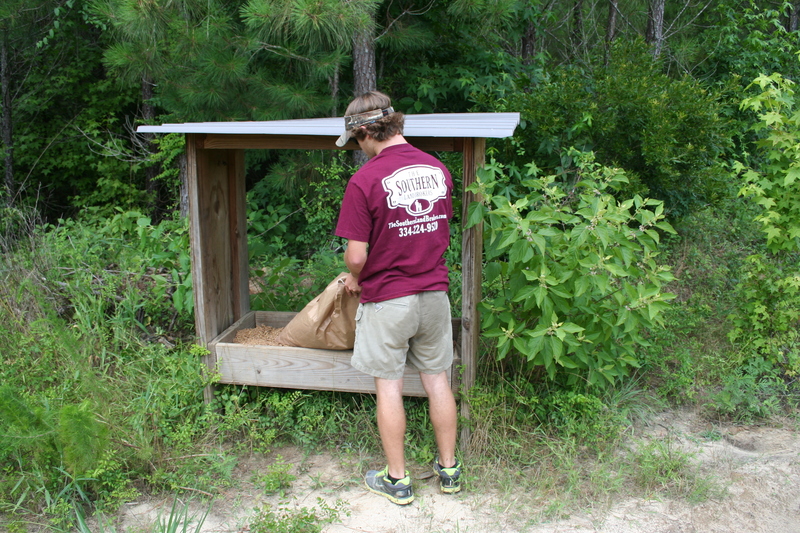 This will create bedding areas, browse for the deer, and nesting areas for turkeys. In addition, it will also create a solid return on investment. During September we are work on our food plots and getting them ready for the upcoming season, planting, checking stands, and scouting the acorn flats for the early bow season. 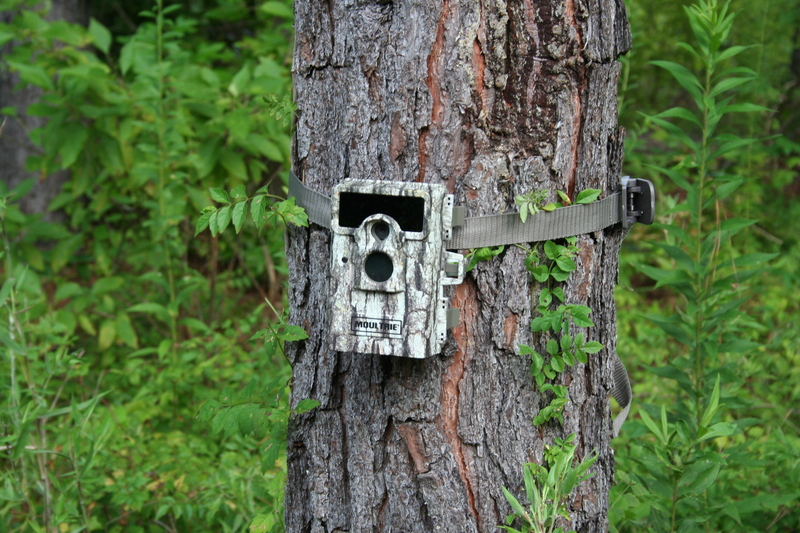 By October, hopefully some of the fields are up and we have our cameras out so that we can see and get ideas of where the best spots will be on opening day. With all the new technology available today, and all of the ideas we have implemented to have a great herd of whitetail deer on our Alabama land, I think the best and most effective practices are food, cover, and isolation. Give your deer herd a good thick place to live, lots of food to eat, and keep it quiet and isolated, and this will put you well on your way to producing that big buck or turkey to hang on your wall, which after all is The Final Product.